Leanne was born in Hope, and grew up in the lower mainland of British Columbia. Her hospitality career began in hotels and resorts, from the Rockies to downtown Vancouver, where she gathered years of experience before completing a bachelor’s degree in hospitality management, and studying briefly with the International Sommelier Guild. With an interest in British Columbia’s diversity and environment, Leanne went north to the Great Bear Rainforest to work for Rosewood’s King Pacific Lodge where she would later meet Jesse. Working in the Great Bear, eventually as resort manager, Leanne witnessed firsthand the extraordinary wilderness of coastal BC, while overseeing the workings of what would be named one of Canada’s top resorts. Now as co-owner and manager of pilgrimme, Leanne brings her years of experience to create a relaxed and warm environment welcoming guests as one would to their home. Originally from Winnipeg, Jesse McCleery began his culinary career at the age of 15 working in his home city’s best restaurants. Moving to British Columbia in 2000, Jesse has since worked in some of the province’s top restaurants and resorts. Having spent a combined five seasons in Clayoquot Sound and the Great Bear Rainforest, he has developed a deep respect for the coastal waters and forests. 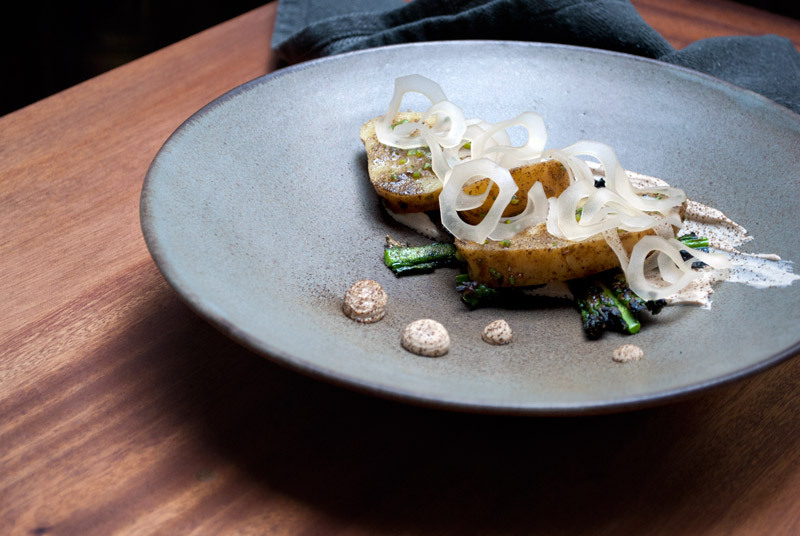 Continually searching and questioning ideas in food and our relationship with our environment, Jesse made the inspiring journey to Denmark to spend the winter in the kitchen of Copenhagen’s acclaimed restaurant Noma. 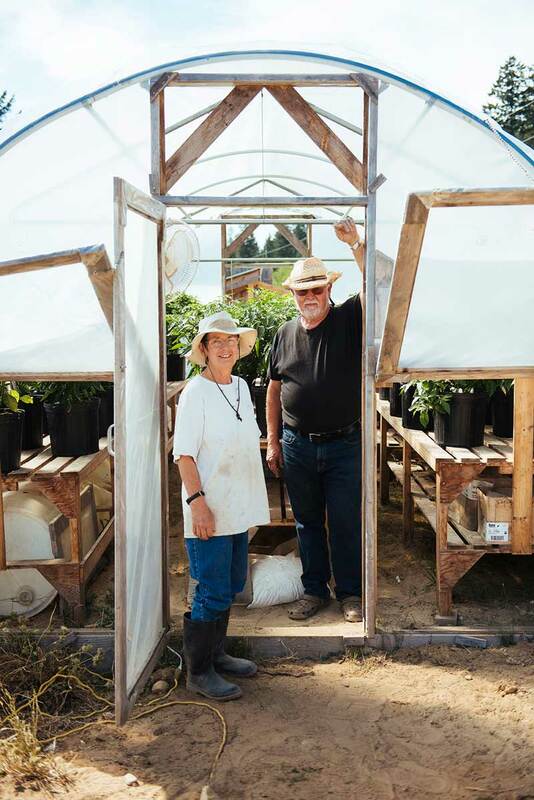 Returning west with new ideas and a reinforced vision, Jesse, with Leanne, set forth on opening pilgrimme, where his philosophies and ethics are given life working with the growers and artisans of Galiano Island. Our Fraser Valley rice, kasu and sake are grown and produced by our friends at Artisan Sake Maker in Vancouver. We’re proud to share the bounty of this island with new friends and neighbours who contribute to our menu every season. Many of our ceramics are handmade on Galiano by Kasumi Lampitoc, and the encaustic and ink art work of Rolando Lampitoc can be found throughout our dining room. Just a short drive down the road, vegetables from Thomas & Henny at Cable Bay Farm are often out of the ground and on the menu the same day. Captain Tom’s pristine wild salmon and tuna are second to none. We are very fortunate to receive regular bicycle deliveries of organic produce and fresh goat’s milk from Mathias Clearsky. Organic custom blend coffee from the local socially-minded roasters down the road. The Galiano Conservancy’s Permaculture Food Forest grow wild and cultivated edibles in their forest garden of food producing trees, shrubs and understory plants. Working with the food forests incredible array of wild greens, flowers and vegetables is truly inspiring. Grain is a farm-direct dry goods supplier sourcing sustainably grown grains and legumes from small farms in Canada. Growing Chefs is a non-profit organization that pairs chef volunteers with elementary school classrooms to give students hands-on experience growing, and cooking their own food. It’s truly a privilege to serve cured meats prepared by a 5th generation charcuterie craftsman, who also happens to be a dear friend. Roger and Lisa Pettit at Sunshine Farms have been key supporters of pilgrimme from the beginning. Growing a vast array of vegetables and fruits year round, we work with Sunshine farms through the seasons of Galiano. The naturally raised and antibiotic free meats that find a place on our menu come from our friends at Two Rivers, who share our passion for ethical food choices. From pasture raised eggs to burdock root, the good people at Urban Digs share our love and appreciation for ethical, trustworthy food systems.